Imagine not being able to cash in on your own invention. That’s the way Pai Gow Poker creator and Casino owner American Sam Torsi has felt since the 1980s when he created the game but did not patent it. 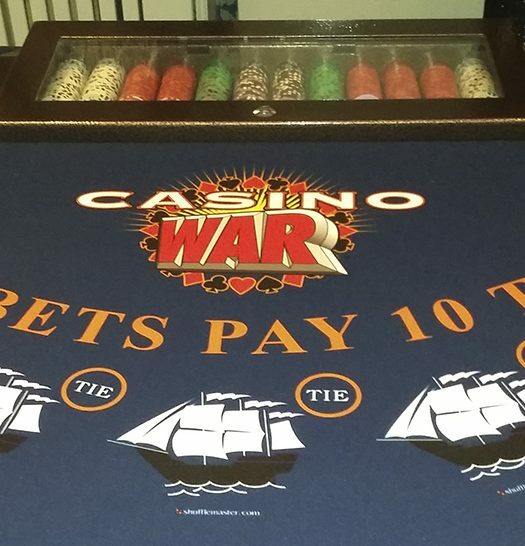 The game is now played in casinos as one of the most popular table games in the world. 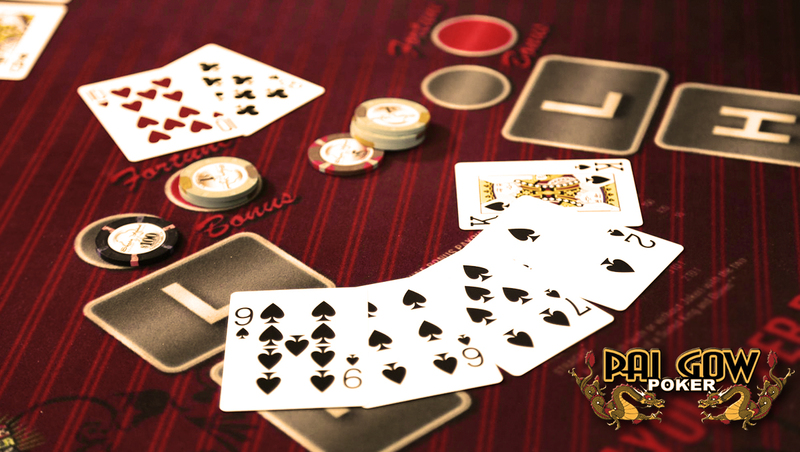 The game itself is a variation of the Chinese domino game ‘Pai Gow’. It’s a low risk game compared to other casino games but that is attributed to the slow nature of the game. You can play a long time with the same stake while getting to shove quite a bit of money around. The slow pace and low risk nature of the make this card game very social, good for a casino. When seated at a Pai Gow table, every player is playing against the banker as opposed to Monopoly. The game is played with a 53-card deck i.e. the usual 52 cards plus an extra joker. The aim of the game is to have two poker hands, one with five hands and the other was two. If your poker hands both beat the dealer you win. You only make one bet during the duration of a Pai Gow hand. The bet should be within the limits provided by the casino. The bet is placed before the player receives any cards. In the above way, Pai Gow is like most other casino table games. There is a special kind of bonus bet in Pai Gow where you can bet that you will get an outstanding hand. For most casinos, 3 of a kind should do. The more outstanding the hand, the more your bet will pay. However, the bonus bet is gives the house a huge probability advantage. After each player has made their bet, they each receive seven cards from the deck. The banker will put three dice into a cup shakes them and throws them to determine which player receives their cards first. A Pai Gow game typically has 7 players i.e. six players and a dealer. The remaining cards are used as a muck pile. Once the dealer is ready, you can go ahead and arrange their hand. A Pai Gow hand is split into two: the high hand and the low hand. The high hand or back hand is a high value five – card poker hand. The low hand or small hand comprises of the remaining two cards. The joker is Pai Gow is used to : complete a flush, complete a straight and be an ace in the low hand. As previously seen, Pai Gow has two hands. The five hand/ back hand has to be higher than the low hand. If the low hand has a higher value than the low hand, it is called fouling your bet and the player has to rearrange his hand or loses his bet. The values of the hands are similar to poker but vary from casino to casino. In Pai Gow, you win by either hand being better than the dealer’s either hand. Based on the above premise, the predominant strategy is to split the cards into the two best possible hands. However, if you have a straight in one hand (best possible hand) the other hand will not matter since it defeats all other hands. On the contrary, with a bad hand, the strategy is to place the two best cards in the front hands and the rest in the backhand. There are other hands that can lead to a strategy e.g. when you have a pair, the best strategy is to put the pair in the back hand and the two other strongest cards in the low hand. Also, if you have two pairs, it is always best to split them. However, the split will depend on the pairs dealt. There are also other generic strategies such as when you have 4 of a kind you should keep them together. Another one is to keep 3 of a kind in the high hand unless you have 3 aces. Straights and flushes should also be kept in the higher hand. If you have all five aces including the joker, you should always split them, unless you also have two kings then you can place all aces in the high hand. A winning hand in Pai Gow is determined by both hands. If both hands are better than both the dealer’s hands, you win the bet. If both hands are worse than the dealer’s hands, you lose the bet. In the case of one of your hands being better than one of the dealer’s hands, it is a push i.e. you get to play again. In Pai Gow, there is something known as the ‘House Way’ which refers to the manner in which the casino’s dealers set their cards. Each casino has their “House Way” which the players are required to look up in the gaming guide before placing a bet of any kind. The casino also has a “House Edge” which is the commission the house makes in every winning hand in Pai Gow. In most cases the House Edge is 5%. However, the house edge can be driven lower if you know how to properly set your hands. Here’s an opportunity for punters to experience a live and real scenario of this amazing game. With the set up being captivating, anyone be it an experienced punter as well as a beginner will find it amazing. What is a joker worth in Pai Gow Poker? The joker is an additional card to your standard 52 card deck, in Pai Gow poker only 1 joker is used, the joker can be used to substitue for a card: to help complete a straight, to help complete a flush, and as an ace. Is there an optimal strategy I can use to win at Pai Gow Poker? The predominant strategy is to split the cards into the two best possible hands. However, if you have a straight in one hand (best possible hand) the other hand will not matter since it defeats all other hands. On the contrary, with a bad hand, the strategy is to place the two best cards in the front hands and the rest in the backhand. Other hands that can lead to a strategy e.g. when you have a pair, the best strategy is to put the pair in the back hand and the two other strongest cards in the low hand. Also, if you have two pairs, it is always best to split them. However, the split will depend on the pairs dealt. What is the house edge in Pai Gow Poker? 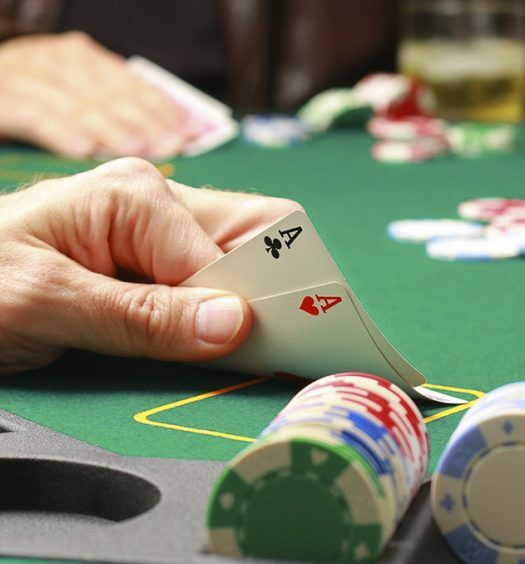 The house edge when playing Pai Gow Poker, house rules can vary depending on each casino and how the player plays can be anywhere from 2.50-2.90 percent. Most of that edge (1.27%) comes from players losing a tie to the bank. The rest comes from the five percent commission that’s paid on winning hands. What is progressive Pai Gow? Progressive Pai Gow poker is similar variant of the game Pai Gow Poker with an extra side wager that has various payoffs based on the players hands.